I stood looking at the result of my procrastination. 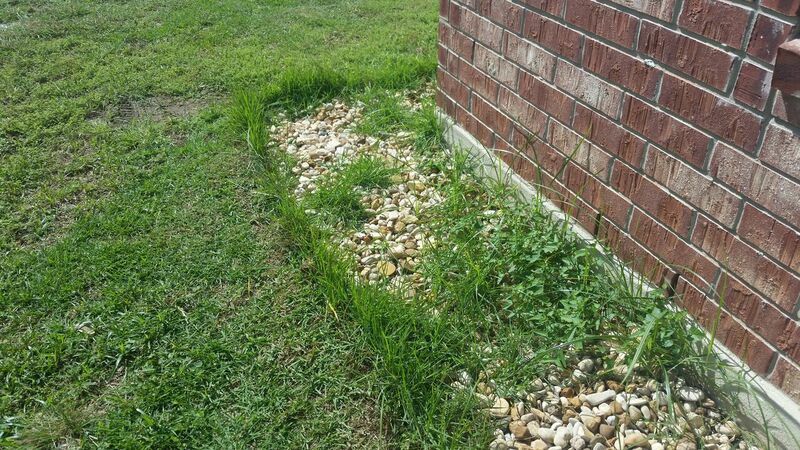 Weeds and grass filled the stone border - the one that wound it's way around the entire perimeter of our house. 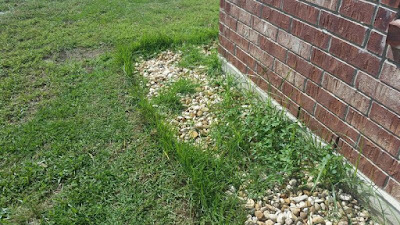 The previous spring, as a gentle breeze swirled around me, I had spent hours pulling out every bit of green that poked up through the rocks. It was back-breaking work, but I felt a sense of satisfaction when I looked at the neat stone border. Then came summer, with it's triple digit temperatures and uncharacteristically abundant rainfall. I looked out my windows and watched in amazement, and a little bit of horror, as the grass once again took over the border. I turned away and decided to wait until the weather moderated before tackling the monumental task. A few days ago I grabbed my gardening gloves, shovel and kneeling pad and bent into the work. It wasn't any easier this time around. Some of the weeds came up with just a gentle tug, but the others clung fast to the earth and black plastic we had put down in a vain attempt to keep them out in the first place. Three hours later I looked with satisfaction at the completed section and dismay at the work yet to be done. The worst of it was, I knew it was only a matter of time before they would all be back again. Because, you see, as hard as I pulled, much of the root system simply didn't budge. It remained hidden underground waiting for sunshine and rain… read more at Laced With Grace.